Our costumes have been put away. Our decorations are stuffed back into their box. 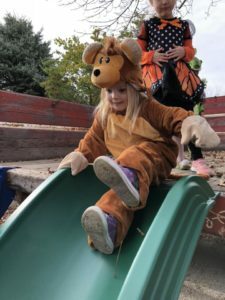 The Halloween Hoopla is done, but there is plenty of fun to come. 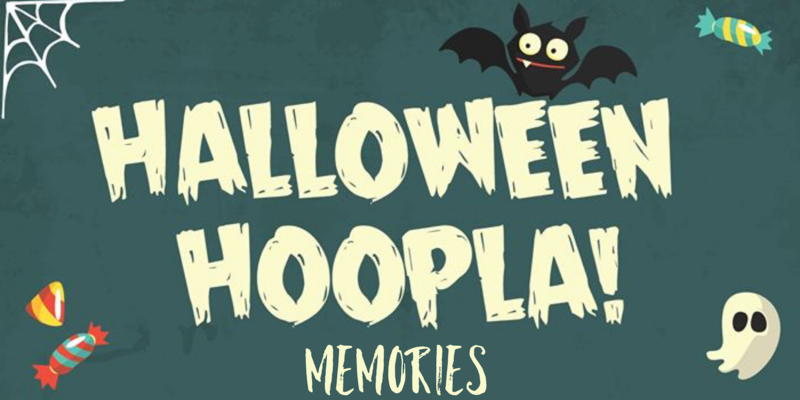 In the meantime, check out the memories of the Halloween Hoopla on our 11 acres of land! The Halloween Hoopla Parade began at 10:00am. 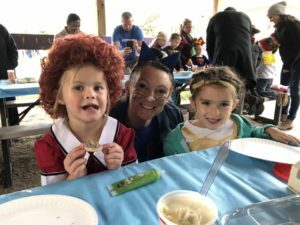 Administrators, Buffy Baca and Kelly Pedersen, led the way as they paraded each class throughout the school, starting with the elementary ending with preschool. 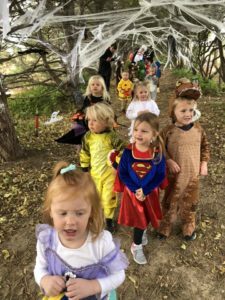 Students continued their parade through the tunnel of parents, up through the spooky trail, then back down to the amphitheater where students meet their parents to have fun at the Halloween Hoopla! Cookie decorating was a Halloween Hoopla favorite! 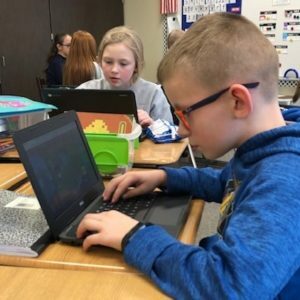 Students picked out their cookie, their color of frosting, and the sprinkles. Then, they got to eat their decorated cookie! Thank you to all of our wonderful parent volunteers who donated the cookies, frosting, and sprinkles! Tuesday morning a truck full of pumpkins were delivered to the baseball field! Students thought it was magical that so many pumpkins appeared and no one knew where they came from. Turns out that they were for the Halloween Hoopla! 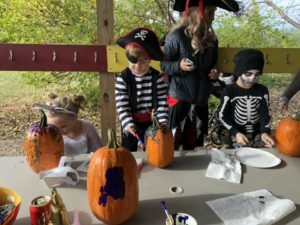 At the Hoopla, students got to pick out their pumpkin from the baseball field and then paint them! We had many fun, colorful pumpkins by the end of the Hoopla. Watch out! Spiders, spider webs, ghosts, goblins, and lets not forget the witches, were all found in the Spooky Trail. Students enjoyed walking through the trail with their teachers and then their parents to see what they could find. Thank you to all of our wonderful parent volunteers who donated Halloween decorations and helped set up the Spooky Trail. Big Red made its first appearance at the Halloween Hoopla! Students got to climb up the stairs, run around in the back of the old truck (“Big Red”), and slide down the green slide. The best part: Legacy students can now use the truck during school hours!